Stand alone solar systems place cyclic pressure on the batteries storage systems due to regular use and factors such as solar drought. This means that such systems must utilise batteries designed for cyclic use, rather than standby use. A cyclic battery is designed to charge and discharge all day, every day, making them ideal for solar applications. When the sun comes out, the batteries will begin to charge. When the sun goes down at night or there's heavy cloud cover, the battery starts to discharge to supply the load. Therefore, the battery is cycling each and every day. Cycling a battery designed for stand-by applications will result in the battery under-performing as well as premature failure. This is not a sign of low quality, rather that the incorrect battery is being used for the application. Depending on how often the battery needs to cycle will depend on the type of battery you need to use. VRAL Gel type batteries have the unique ability to recover from deep discharges, heavy cycling and cyclic abuse which would otherwise damage a VRLA AGM type battery. By design, Gel batteries are well suited to handling the demands of stand alone solar systems. A Gel battery uses polyethylene separators with a thixotropic gel and the electrolyte is suspended within this gel. Through the thixotropic Gel, the battery can be left in a partial state of charge without damaging the battery. A Gel battery can also cycle back from a low state of charge without damaging the battery. AGM batteries are preferable when a burst of amps is required and can perform well in temperatures below 32 degrees. In comparison, Gel batteries cope well with slow discharge rates and are better performing in hotter environments. The Valen Gel and ENDUROGEL batteries have been designed and manufactured using genuine thixotropic gel which allows them to offer true cyclic capabilities required for Solar applications. For smaller solar systems, the Valen Gel range is recommended along with the advanced Valen ENDUROGEL VRLA battery range for the larger, heavier cyclic applications. Valen Gel 12V21Ah battery is the smallest Gel battery available on the Australian market! Its compact size makes it the ideal battery of choice for dimension critical cyclic or solar sites. Ideal for use in portable equipment, road signage and small mobility scooters. Valen Gel 12V26Ah battery is upright compared to other 12V26Ah batteries which are squat. This means there is less likelihood of any acid leakage and sets the 12 VG 26 apart, allowing clients to take advantage of a safer battery option! Perfect for mobility and portable equipment. Having the Catalyst assists the Valen ENDUROGEL battery in withstanding battery dryout - a major killer of VRLA battery technology. When the battery is subject to high temperatures and cyclic pressure, the battery is caused to vent. The Catalyst acts as a recombination unit, recombining up to 80% of these essential gasses which would have escaped otherwise and shortened the battery's life. 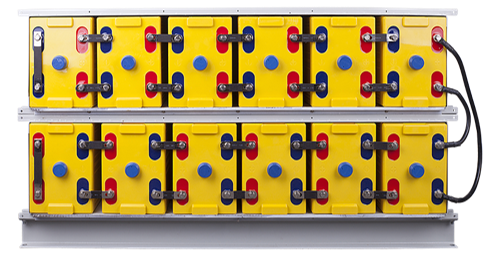 The Valen Modular Energy System is designed and manufactured for the Solar market and is available in a range of VRLA battery technology. Valen's MES system complete with links, bolts and a strong, protective polycarbonate cover - the MES is fast to install and easy to maintain on site! Stackable, flexible and safe, these modules provide a compact solution for energy storage and ensuring your system runs to maximum efficiency. Want to learn more about using Gel batteries in your solar system? Just ask Valen! We don't just "sell batteries". We're all about delivering end-to-end solutions for all your energy storage needs. Talk to one of our technical consultants about your project. Tell us your requirements as well as your issues and challenges. We'll provide assistance with your system design so you can make that final decision with confidence.